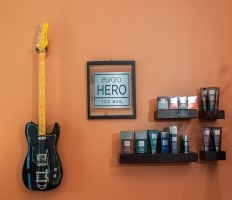 Includes scalp massage, wash & blowdry. Prices vary by level of stylist. Includes scalp Massage, steam towel, wash & blowdry. Prices vary by level of stylist. Scalp Massage, Hand Massage, Shampoo & Style. Full Foil Highlighting, Includes scalp massage, wash & blowdry. 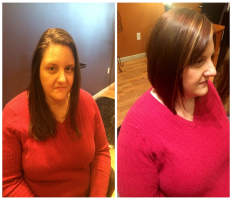 Additional charges for long &/or thick hair, multiple colors &/or treatments. Prices vary by level of stylist. 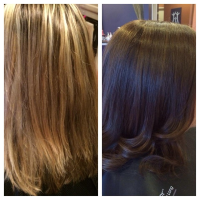 Single Process color application Includes scalp massage, wash & blowdry. 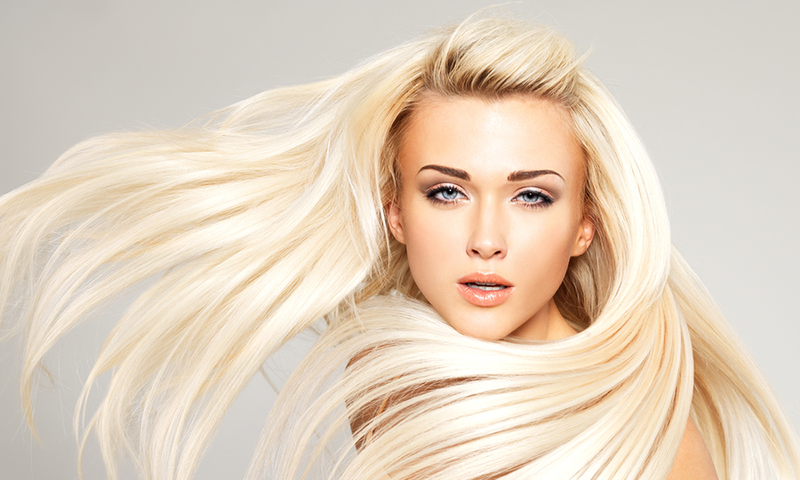 Additional charges for long &/or thick hair, multiple colors &/or treatments. Prices vary by level of stylist. 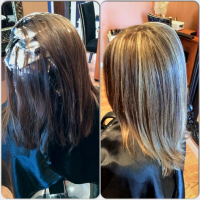 Corrective Color Services are on a individual basis and may require more than one Process & appointment. 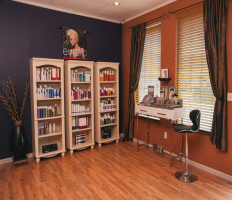 Your Salon Professional will prescribe to you the Products, Steps & Services needed to achieve fabulous, healthy hair. 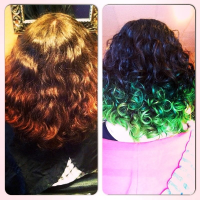 TriColor & Glossing Includes scalp massage, wash & blowdry. 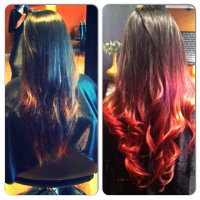 Additional charges for long &/or thick hair, multiple colors &/or treatments. 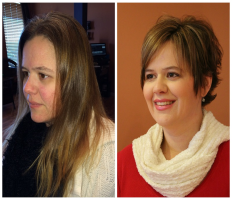 Prices vary by level of stylists. 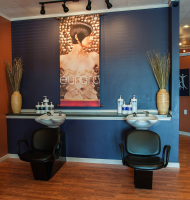 Includes scalp massage, steam towel, wash, color & blowdry. Eyebrow, Lip & Chin Wax. $100 Deposit required for all parties.. Light refreshments will be provided at no additional cost. Call & reserve your consultation & appiontment with our Salon Professional who will make sure you look your very best on your special day. 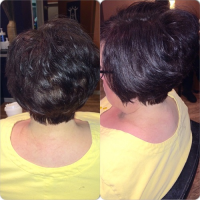 Prices vary by level of stylist and upon consultation. Pure NV BKT (Nature's Vitamins, Botanical Keratin Treatment) is comprised of breakthrough technology known as the NV Complex, a perfect balance of nature's vitamins, fatty acids and antioxidants to nourish, repair and hydrate, Pure NV BKT will reduce. Our Perm Solutions contain Certified Organic Aloe Vera Gel, Botanical Extracts, Panthenol, Pure Essential Oils & Are Thio & Ammonia Free. 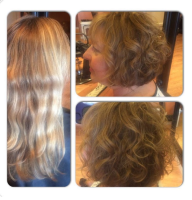 The difference in creating healthy, wavy hair without the excessive damage caused by non-traditional perm solutions. OUR MISSION: To provide "you" an exceptional experience in a warm and friendly atmosphere. To be your personal resource and give "you" inspiration and knowledge in fashion, precision and technique. Educating the staff and "you" on what we believe are the best products for us and our environment. We strive to exceed our guest expectations each and every visit. 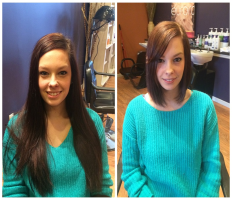 Refer any family or friend into Salon you and you both will receive $10 off your service of choice. 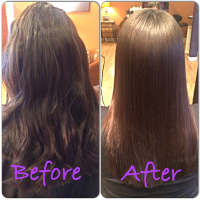 If you're looking for easy, frizz free, healthy hair, the Cezanne keratin treatment is just what you need! Buy 10 regular priced eufora take home products & receive $10 off.